There is nothing more decadent than premium wine paired with fine chocolate. Hosting a party and sharing your passion for both is never dull, and almost a guaranteed YES on the RSVP. Decide whether or not you will provide all the wine and chocolate, or if you want to invite each guest to bring their own bottle of wine to share, and provide a list of which wines will be best. We suggest that you, as the host, provide the chocolates, and your guests provide the wine. This might make things easier, and you will have time to clearly mark the chocolates before the tasting so that your guests can identify them. Make sure each guest has their own set of wine glasses — for both white and red. 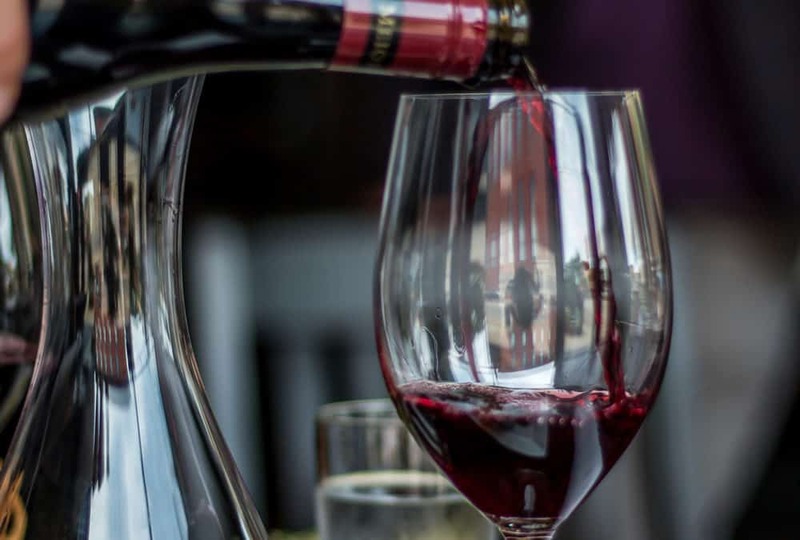 It’s entirely up to you if you would like to use stemware or stemless — there is no need to go out and purchase all new glasses for the occasion, just make sure you have enough for each guest to have two. If using stemmed glasses, you might consider using wine glass markers or charms on the stems to keep guests from misplacing their glass. You can use something as simple as a ribbon, however there are many fun options to make or purchase. Serve the chocolate on an assortment of platters (wood, ceramic, pedestals, etc.) and make sure the chocolate varietals are clearly marked. You can even make recommendations on which wine style goes with which chocolate on the markers, this way guests will get the BEST tasting experience. Do you want to have fun rating the wine and chocolates? If so, create score cards and note cards for guests to use while walking through the tasting. They can make note of which chocolate paired best with which wine, rate them, and more. You can then have fun comparing everyone’s ratings at the end of the night! You might want to consider having some other snacks or appetizers on hand, and plenty of bottled water to help cleanse the palate between tastings. Encourage your guests to take their time, this isn’t a race. It should be relaxing, and fun. Try our Milk Chocolate Nut Assortment, which pairs well with a fruit-forward Chardonnay. Try our Milk Chocolate Gold Bars (broken into squares), Chocolate Fudge (cut up into bite-size squares), or our delectable Milk Chocolate Meltaways to pair with Reisling. Our Sea Salt Caramels or Strawberry Cordials make for a great pairing with Pinot Noir. Try our Parfait & Mousse Truffles or our Dark Chocolate Silver Bars to pair perfectly with Merlot. Just about any chocolate goes well with Cabernet. However you might want to try our Dark Chocolate Silver Bar broken into squares, our Truffled Fudge, or perhaps one of our Classic Collections with an assortment of fine chocolates to pair with Cabernet. Our Dark Chocolate Silver Bar is a good bet for Zinfandel or Syrah pairings. You can also try our Parfait & Mousse Truffles or Truffled Fudge. Be sure to purchase chocolates to put into goody bags for guests to take home! Our Candy Bars or 1-Piece Milk Chocolate Truffles make ideal goody bag gifts. Plan your event well, and have a wonderful evening!